Only choose GMP contract manufacturing when considering a private label supplement or nutraceutical. At Vikakem, we follow all of the Good Manufacturing Practices set forth by the FDA , WHO, and the EU. It is just not worth the risk and liability involved with using anything less the most stringent GMP contract manufacturing to produce your health products, after all, the health of your customers is at stake. We never use non-certified contractors like many other nutraceutical manufacturers do in order to cut costs and avoid regulation, but we believe in full compliance in order to ensure the industry remains as safe as possible and viable well into the future. Only uses safe and legally sources ingredients for your products. Complies with standards set forth by all major governing bodies in the world. 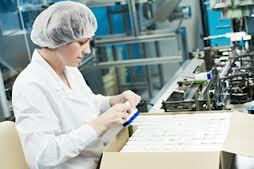 Offers free FDA labeling evaluation to make sure product packaging meets labeling requirements. Maintains detailed records of where our ingredients come from and subcontractors used. Up to date certification. You can view our NSF Certificate here. By ensuring that only GMP contract manufacturing is used when producing your private label supplement or nutraceutical, you will stay rest assured that your customers are only getting the best and that your product won’t be the cause of any harm to the very people you are trying to help. Contact Vitakem today for a free manufacturing quote or to learn more about our safe and affordable GMP contract manufacturing services.